The process of getting married entails a lot of red tape. 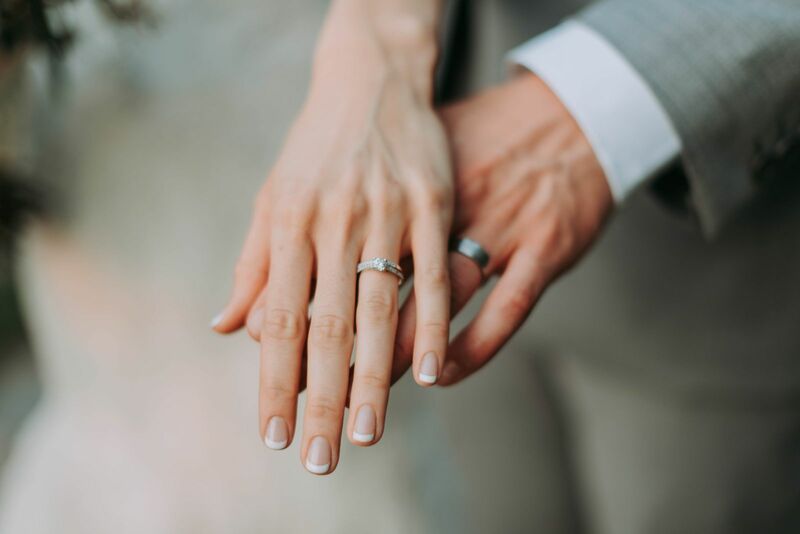 In addition to applying for the marriage license, hiring a person licensed to perform the marriage, and then receiving the marriage certificate, couples have to decide whether one or both will change their name. If you decide to change your name, then you must follow certain steps to make sure all of your legal documentation is correct. The most common reason a person seeks a legal name change is due to a marriage or divorce. The state of Oklahoma recognizes a valid marriage certificate as proof of a name change. The simplest way to change your name is to fill in the new name on the marriage license application. Both people write their legal names on the certificate and then fill in the name they will use after the marriage. After the marriage, both spouses simply endorse the marriage certificate with their new names. The marriage certificate is the most important document necessary to change your name. Purchase more than one certified copy of the certificate so that you can easily locate one whenever you need to provide proof of your name on other accounts and records. When a couple divorces, they have the option of changing their name again. Oklahoma courts will restore your name during the divorce proceedings. Typically, the person who wants a name change includes it on the divorce petition, whether it is contested or not. Restoration of the person's pre-marriage name will be added to the final divorce decree. Once your name is changed, you need to change your name on other legal records. Your first stop should be the Social Security Administration, where you will need to fill out an application for a new Social Security card. You can fill out the form online or in person. The number will not change, just your name. The Department of Motor Vehicles will also allow a legal name change, just be sure you have copies of your Social Security Card and marriage decree. To expedite the process, it is helpful to call the DMV ahead of time to verify which documents you need to bring. Next, change your bank accounts. This step is easy to overlook, but it is essential if you intend to have joint bank accounts. You will need to appear in person at the branch with your marriage certificate and your new driver's license. While there, also ask for new credit and debit cards and checks so that they all reflect your new legal name. Sometimes a person will decide to change their name after marriage. If you wait until after the date of the marriage, you will need to petition an Oklahoma court to change your name. The process requires you to file an application in the county where you live. You will need to provide the appropriate documentation, your desired name, and the reason for changing it, and then publish notice of the petition in a local newspaper. After these steps are complete, you will attend a hearing where a judge will formally grant the petition. Usually, a name change petition will only be denied if it is being sought for an illegal or fraudulent purpose. A name change will not impact your other legal obligations, such as spousal or child support. Once the court grants the petition, it will issue an order changing the name. This order will be used to update all of your other records. A new marriage should be a joyous time in your life. To help with all the paperwork, it is advisable to call an Oklahoma family lawyer who can expedite the legal changes that accompany a name change. Contact our law firm today, or call 405-542-2529 (542-CLAW) and one of our attorneys will speak with you about your case. Read more about our team, or continue reading and researching our free legal information library, or enter live chat.